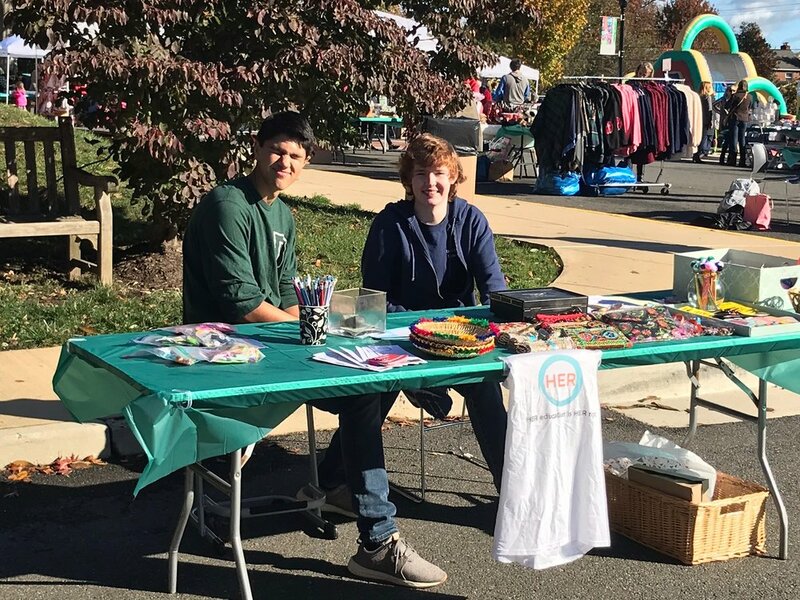 November 3, 2018—Members of Washington-Lee HER Club crossed the treacherous Arlington/Alexandria border to host a table at ACDS’s annual Country Market Fall Festival last weekend. We spent the day raising awareness of the lack of educational materials and libraries for girls in developing countries, as well as raising funds to help us fill that gap. Thanks to all who stopped by and contributed to the cause with your donations and/or your purchases of our Pakistani handicrafts! Selling handicrafts to help raise funds! The future of HER is bright! W-L HER Club: wrapping up another successful semester!